What does “Bottled-in-Bond” mean and why should we care? Whiskey Professor and two-time Whiskey Man of the Year Bernie Lubbers visited Bottles recently to let us know just why. And we believe him. If you’re getting your dad a Bottled-in-Bond bottle of whiskey for Father’s Day, why not learn what makes it so special! The Bottled-in-Bond Act of 1897 laid out a set of regulations and standards for distilled spirits; more specifically it made the government the authenticator of a spirit’s quality. At the time, some whiskies were adulterated out of greed — things like iodine and tobacco were used for coloring or as flavoring agents. Folks wanted to trust that they were drinking the real deal, so the government stepped in. When you purchase a “Bottled-in-Bond or “Bonded” bottle, you can rest assured that what’s in the bottle is just good old USA-made whiskey and time. We have several Bottled-in-Bond bottles at Bottles – come by and let us help select the right one for you! 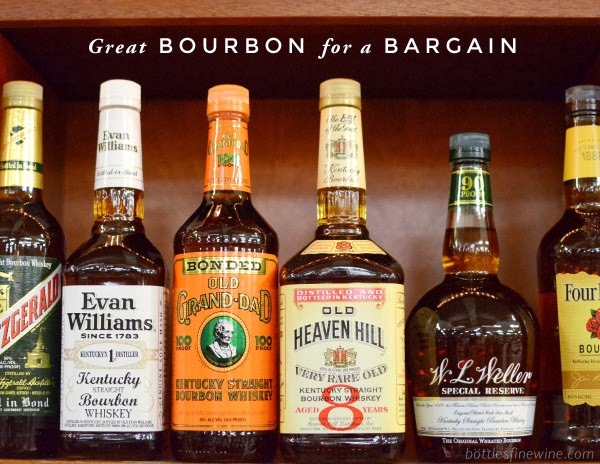 Learn All About Heaven Hill Distilleries – Small Batch Bourbons, Bottled-in-Bond, and Beyond! This entry was posted in Cocktails, Learn About Spirits, Other and tagged bernie, bond, bonded, bottled-in-bond, bourbon, lubbers, whiskey on June 14, 2016 by bottlesfinewine.